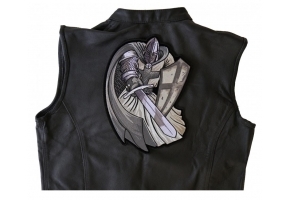 Silver Cape Templar Knight Large Back Patch measures 8.8x12 inches and is Embroidered in Silver. 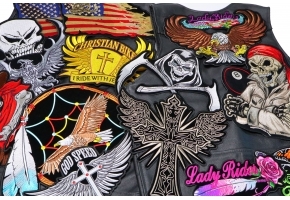 The Large can be sewn on or ironed on to clothing. 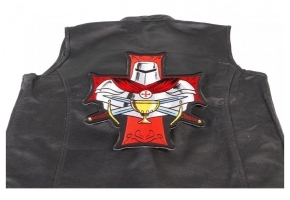 The Silver Cape Templar Knight Large Back Patch features plastic iron on backing and clean laser cut embroidered borders. Arturo came up with this design in late 2018, we are going to have it in stock ready to ship out real soon. This one is going to be available as a small pocket patch and large back patch in 3 different colors including this gray version and a blue and red version. 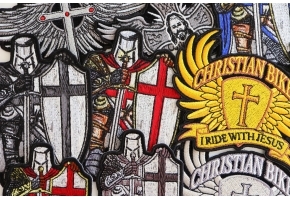 A great Crusader design for our Christian Biker friends. Being a knight requires a lot of sacrifices to be made. They become the favorite to everyone because of the valor and the bravery which they project during the crisis. They do not even mind giving away their lives to protect the country from the hands of their enemies and they are equally dignified too. 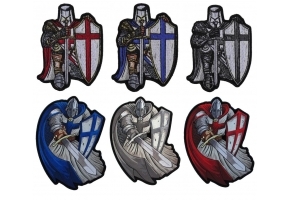 If you are in for projecting the similar qualities like that of a knight then this Silver Cape Templar Knight Large Back Patch is embroidered for you. 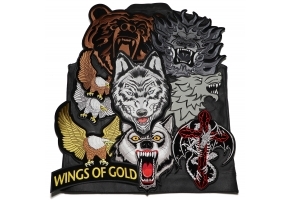 When this patch is stitched on your jackets, it can instill that dignity in you within a few moments.